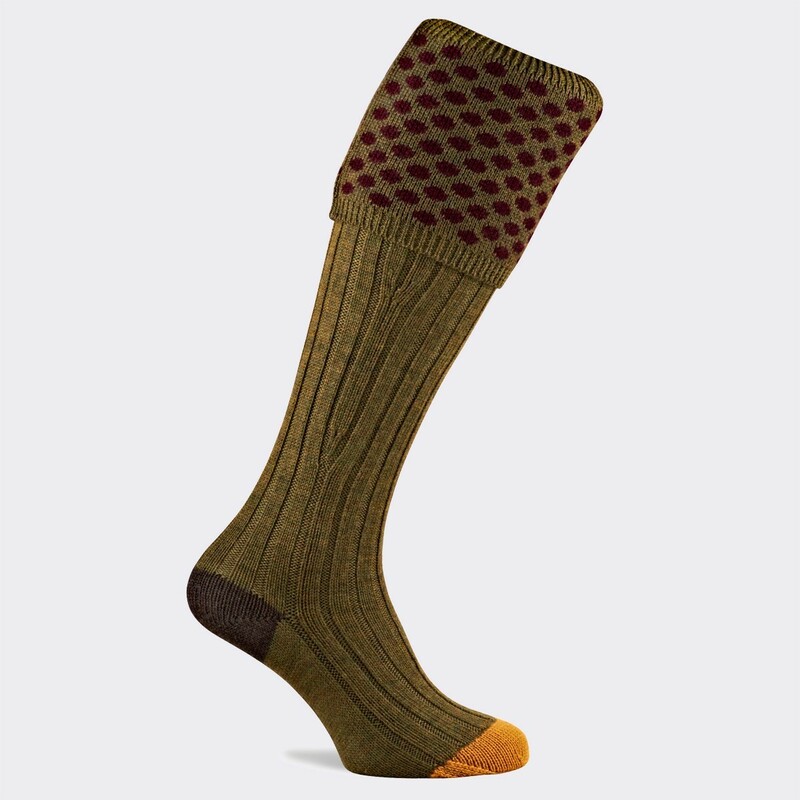 These extra fine Merino Wool Mens Shooting Socks from Pennine are the ultimate in comfort with tailored legs for wider fitting calves. Made from 95% Merino wool with nylon reinforced heel and toe. Flat toe seam and shrink resistant. Machine washable. Olive colour with a lovely contrasting yellow top.